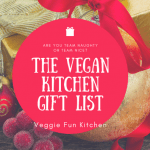 Are you looking for a gift guide for the vegan kitchen? 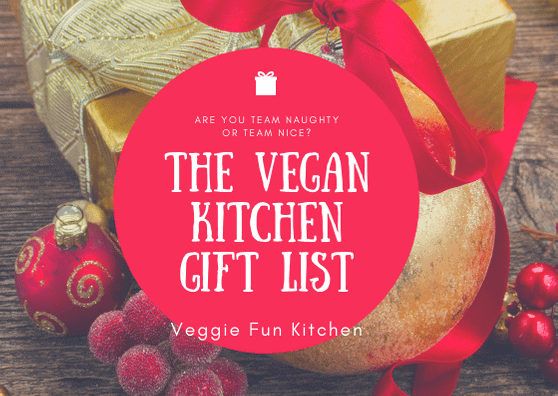 Or are you a vegan cook trying to build your own wish list? Here are my favorite kitchen items that I think everyone needs when setting up their kitchen – vegan or not. As vegans though, we sometimes need a little extra because to do it right, we do a little extra. Enjoy browsing and I hope you can find something to add to your own wish list. Discloser: I am an Amazon Affiliate. This means that if you click on an Amazon link and make a purchase, I may receive compensation at no additional cost to you. The first must-have is a high speed blender! I can’t live without my Vitamix! I will not compromise on my Vitamix and get a lessor brand. Just isn’t going to happen…I use it to make hummus, cashew cream, dressing, vegan ricotta “cheese”, my super delicious and famous Chili Cheese Sauce, and so much more! The next “must-have” on my list would have be an Instant Pot Pressure Cooker. Can I just say Chili Cheese Sauce and leave it at that!?! The instant pot is great for cooking dried beans with minimal soaking, chili, and soups and stews, rice, and even yogurt! I also have an awesome Thai Peanut Noodle recipe in the works. The Instant Pot Pressure cooker comes in three sizes: the 8 qt which is appropriate for a larger family, the 6 qt which works great for my family of four, and the 3 qt which would be perfect for a college student or a small family of two starting out. The next item on my list is literally on my list! If Santa is listening, I need a new set of cookware! A good non-stick set of cookware is essential for the vegan cook who is also oil-free. No, we don’t need to cook with oil! Here is a hint: Heat your pan up first and then add the ingredients you want to saute, along with a little vegetable broth. Just watch your pan and add more broth as necessary so that it doesn’t stick. Really and truly – you don’t need to cook in oil! I’ve researched and come up with three awesome cookware sets at three vastly different price points: Scanpan, Calphalon, and GreenLife. The one I would love love love to have is by Scanpan. Wow! Non-stick, lightweight and beautiful too! While the set would be an absolute dream come true, I’d truly make myself happy with getting this one piece at a time. The mid-range set is honestly where I’m probably going to set my sights with the Calphalon Stainless Steel cookware. It’s functional, practical, and beautiful. At the lower end of the range is a set that is functional, non-stick and comes in fun colors too! Check out the GreenLife cookware set. While I love the turquoise, I’d probably have to go with the red to match my kitchen. Yes, I have all of these cookbooks! Don’t judge me! I do promise you, I have each and every one of these items!